I loved A Dickens of a Murder! I haven't read this one yet, but have just added it to my "must read during the holidays" list. Thank you for sharing. Sounds like a great holiday read! It's on my list to read! 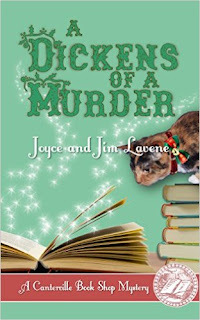 Sounds like a wonderful cozy mystery!